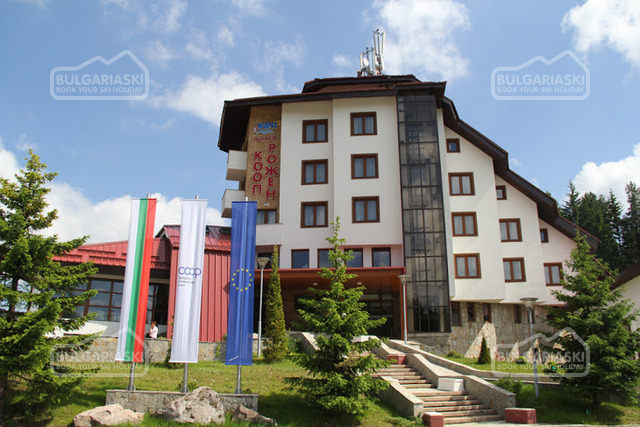 Location: Coop Rozhen hotel is situated in a nice Rozhenski polyani Area, 6 km from Pamporovo mountain resort. 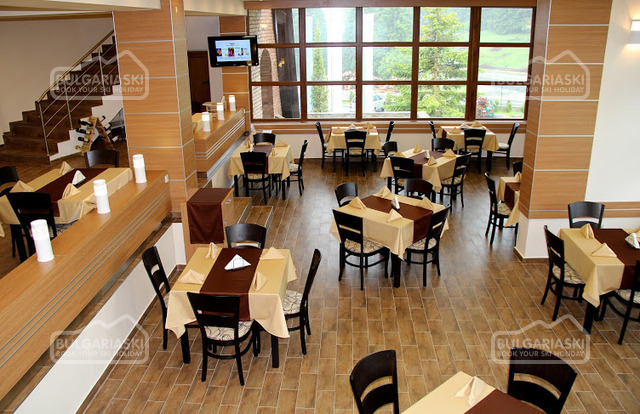 The ski centre Studenets 3 is located 4.3 km from the hotel and Studenets 2 is 5 km away. 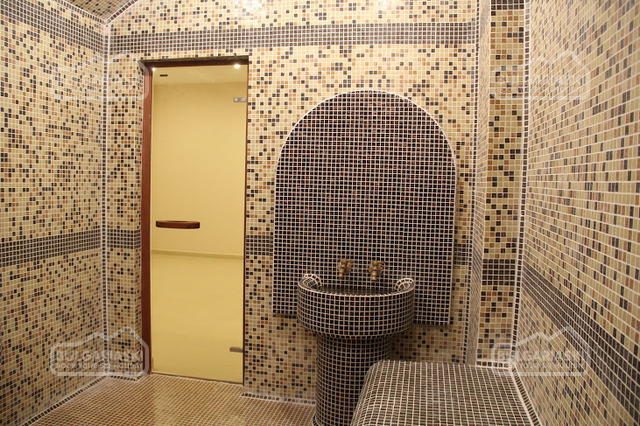 Accommodation: The hotel features 29 rooms – single, double, studios and suites. The rooms offer flat-screen TV with satellite channels, private bathroom with a shower. Some of the rooms are with a sitting area. 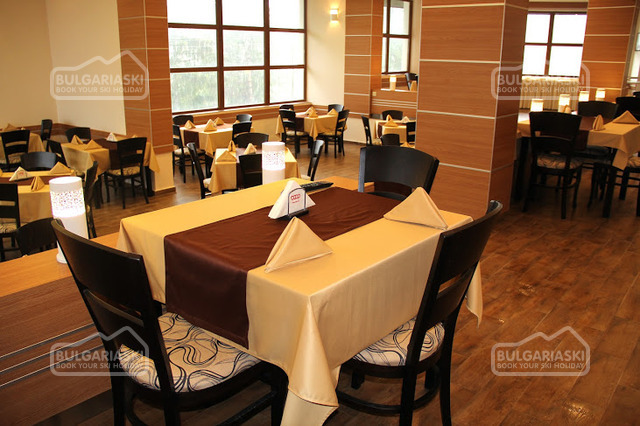 Bars and restaurants: At guests disposal are restaurant, lobby bar, barbecue. 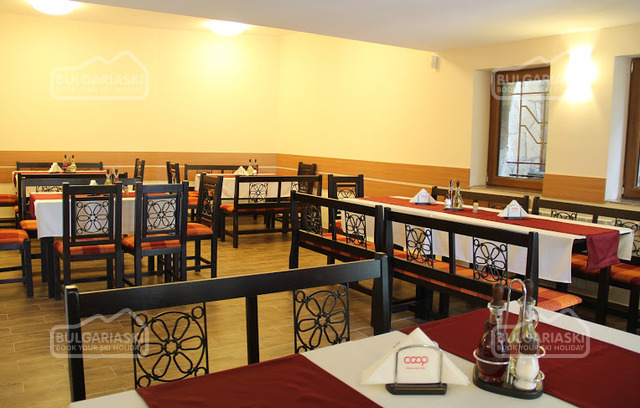 Facilities: The property offers free Wi-Fi internet and parking lot. 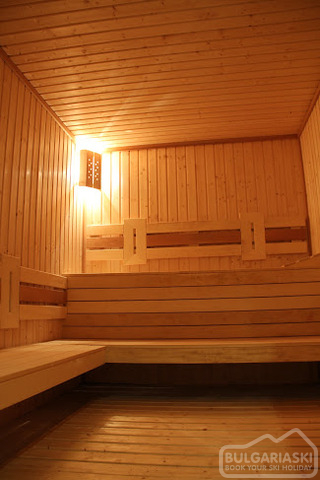 The hotel offers indoor swimming pool, sauna, steam bath, hammam, massages. Dry cleaning services are at guests disposal. 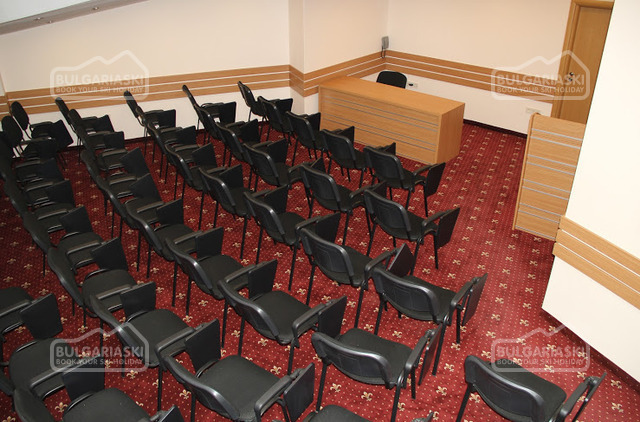 For business guests there is a fully equipped conference hall. 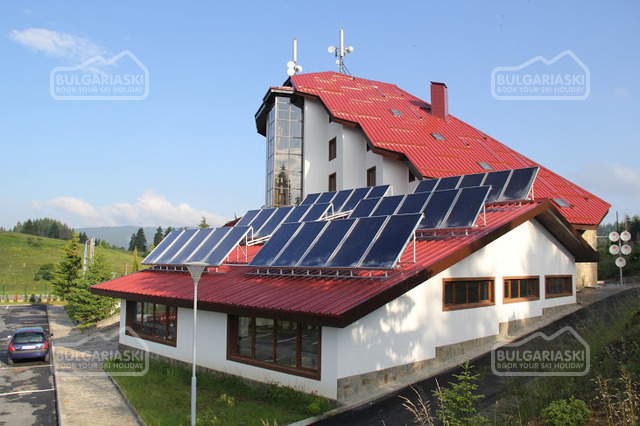 Please, post a comment on Coop Rozhen hotel. *All prices in Euro, per room, per night, breakfast included. 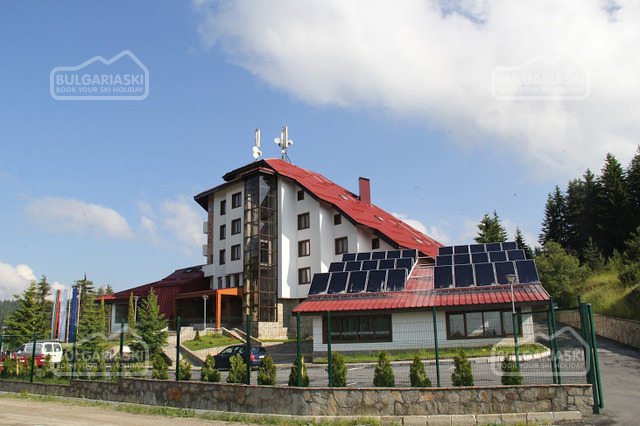 Guests of the hotel can use swimming pool, sauna, steam bath, parking and internet for free. *Cancellations can be made free of charge providing details of this are received at least 3 days prior to check-in time on the day of arrival - cancellations made after this period will incur a fee equivalent to the cost of one night's accommodation.